For the past year the Forest Unit has been restoring the Arboretum in the IITA-Ibadan campus as a Tree Heritage Park for the conservation of rare and endangered Nigerian trees. Massive amounts of exotic trees, “bush”, and weeds have been cleared from the original plots. On 19 April, a tree planting event was held to mark the end of clearing operations and the start of planting indigenous trees, which are now threatened with extinction. David Ladipo planting mahogany in arboretum with Deni Bown and Kenton Dashiell. An Ijebu mahogany, Entandrophragma angolense, was planted by Dr David Ladipo, who set up IITA’s arboreta in Ibadan, Onne, and Mbalmayo (Cameroon) in the 1990s. Mahoganies are one of the most highly valued timber trees; they are slow growing, taking over 35 years to flower for the first time, and mature specimens are now extremely rare. After planting the tree, Ladipo spoke of the crisis facing Nigerian trees and forests which are overexploited and fast disappearing. The event was attended by Deputy Director Kenton Dashiell, Partnerships and Capacity Development, who congratulated Forest Unit staff on this important work. Before closing the ceremony, Ladipo presented Deni Bown, Head of the Forest Unit, with three 2-m cuttings of African myrrh, Commiphora kerstingii, as an addition to the collection of rare trees. From 1990 to 2005 Nigeria lost 35.7% of its forests, giving it the reputation of having the highest rate of deforestation in the world. Such rapid deforestation resulted in an average temperature rise of 1.1% and decrease in annual rainfall of 81 mm. Forest cover is now down to 4% yet there are few initiatives on reforestation or protection of forests at either state or federal level. 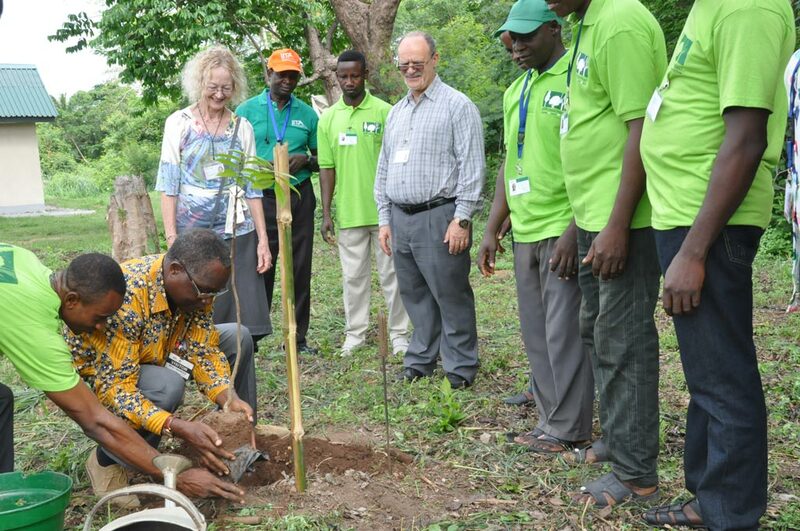 In addition to conservation of tree genetic resources, the Tree Heritage Park in IITA-Ibadan will raise awareness that native trees are better adapted to local soils and climate, support wider biodiversity, and provide a far greater range of raw materials than exotics. It also offers seeds and young trees, and training and advisory services for reforestation and restoration of degraded landscapes. The Tree Heritage Park project is funded by the AP Leventis Foundation. It is supplemented by a project to prioritize and protect Nigeria’s most threatened trees, which receives a grant from the Mohammed bin Zayed Species Conservation Foundation. The lead partner for this smaller project is Botanic Gardens Conservation International, secretariat for the IUCN/Species Survival Commission Global Tree Specialist Group. 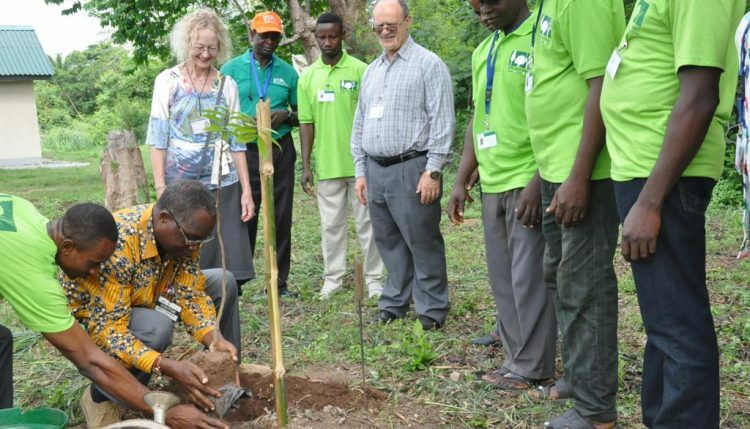 As an “in-country” partner, IITA, through the Forest Unit, has exceptional expertise in propagating indigenous trees. Detailed records for over 85 species will form the basis for a project manual of West African tree propagation.